The man who taught me how to vacation finds me online to remind me of the lesson. It’s been such a long time since I’ve posted in any of my blogs that I’m considering updating my bio to read “Justin Cascio currently neglects writing about his life at One in Six Trans Men, or what he’s cooking at Justin Wants to Feed You, or why he hates industrial food at Tin Foil Toque.” Even my husband chides me for not writing in my blogs, and I know he’s right. I get wrapped up in just one thing to distract me, and that one thing has been working on The Good Men Project. I’ve had a tough year, in which I spent most of the winter on my back and on painkillers. This spring, I’m coming to terms with just how sick I am, and that is a shock all its own. It’s harder to find gratitude when you’re down, but that’s when you need it. I’ve been stepping back just a little from work—realizing when I’m using work to escape and then not working—and finding again that while it may only take me half an hour to put up a post, it doesn’t mean I can put one up every half hour. In stepping back I find inspiration to write again. My old neighbor, Papa Joe, sent me an email with a photo and one of my own stories. The picture is of us from 1982 on one of his boats. The story is this one, Summers in Maine, about the vacations we’d take with his family, and one year in particular when Papa Joe’s daughter and her fiance joined us. One of the joys of those trips was how they upset the power structure in my family, and Chef Jeff upset it further, to my complete joy. They were a model of how vacations can restore the spirit, by taking away the power of one’s job, or whatever it is that has dominion over you. It was a joy to hear from Papa Joe. I wanted to send him back this story I’d just written on our best man, but I always feel funny about asking people to read my writing. Anyone who writes knows this feeling; I’ve read other writers who say the same thing. It seems attention seeking. My favorite novel is Geek Love, about a carnival family. One observation of the narrator is that “show off” is hardly an insult in their family. This should be true of all creatives, but we don’t all come from creative families. Most of us creatives, or wannabes, are raised by muggles. Some of us imagine it’s what made us so: see Harry Potter, Matilda. Some of us feel like we’ve gotten more attention than we deserve, already. For what it’s worth, my best man, his wife, and my husband all tell me that they read it and it made them cry. That’s all the praise I could ask for. About the photo: That isn’t a free photo off Flickr up there. 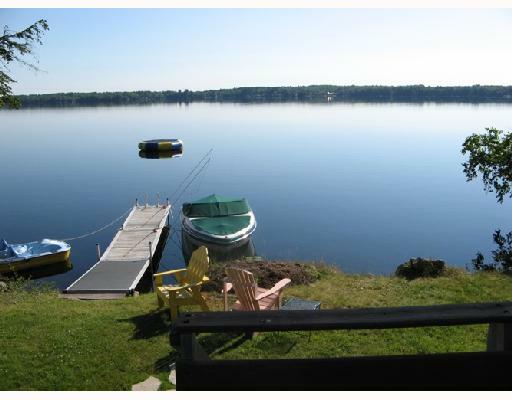 That image came from the real estate listing I found a few years ago when, on a lark, I googled the name of the lake to show my husband. I was stunned to see familiar images from my childhood appear in the first search result.